My great aunt, sister to my great grandfather Haddow. Son of my Great Grandmother Mary Eleanor Haddow and my Great Grandfather John Moors. It was time to head back to Belleville, Ontario. I had enjoyed Mr. Carlin’s art exhibit in Callander and a short, but magical visit in North Bay with my sister. 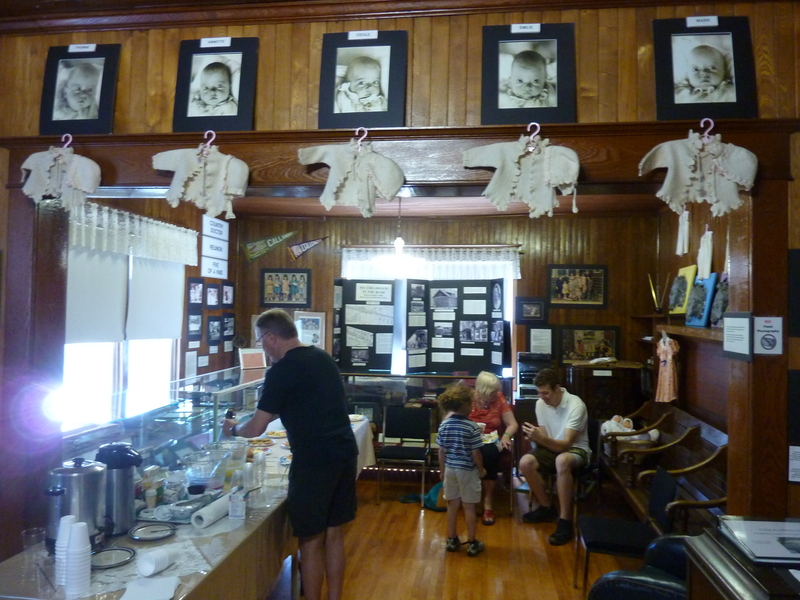 It was interesting that the Alex Dufresne Gallery is housed in the Callander Bay Heritage Museum. What a fantastic space. 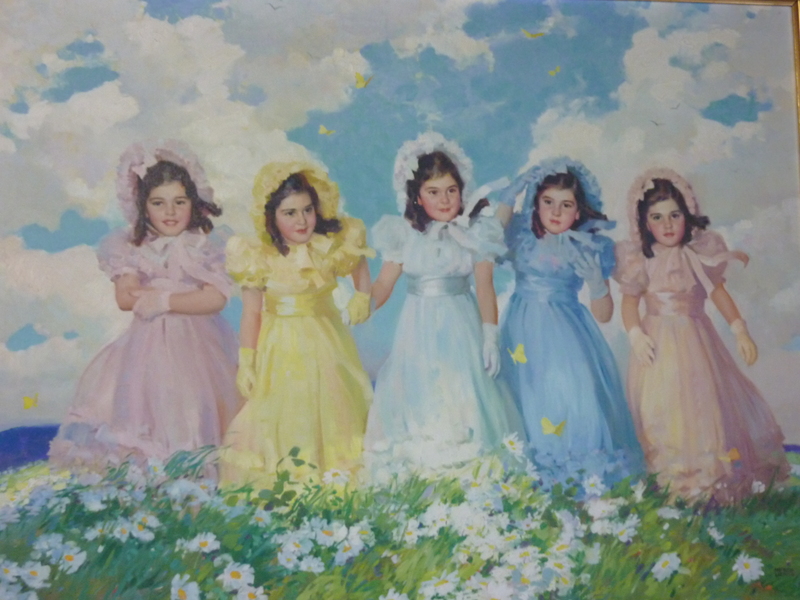 I remembered from my years living in North Bay, what an attraction the idea of the Dionne quintuplets was for the locals. 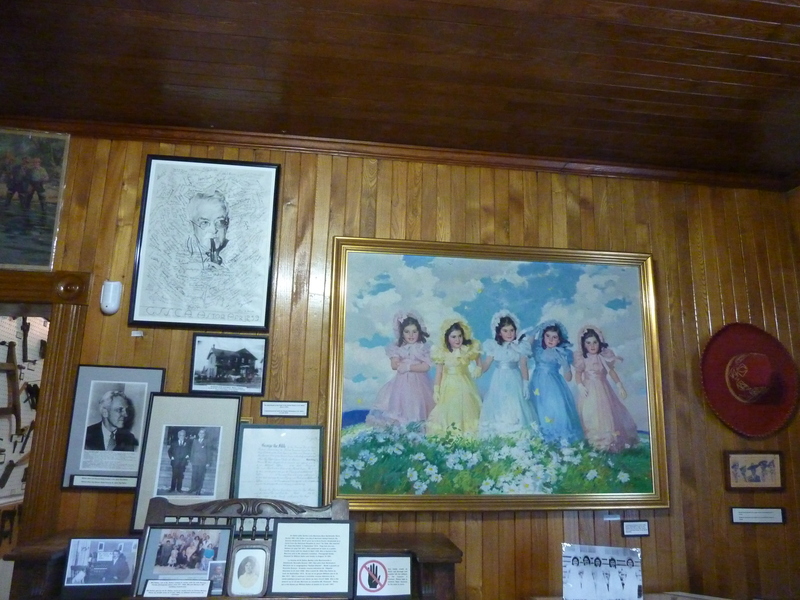 To see so many of the archives of the dear girls’ childhood on display in the museum felt a little other-worldly. Even as a twelve year old, I felt sad for the spectacle of all of this. Today, multiple births do not demand as much attention as was endured by the Dionne quintuplets. 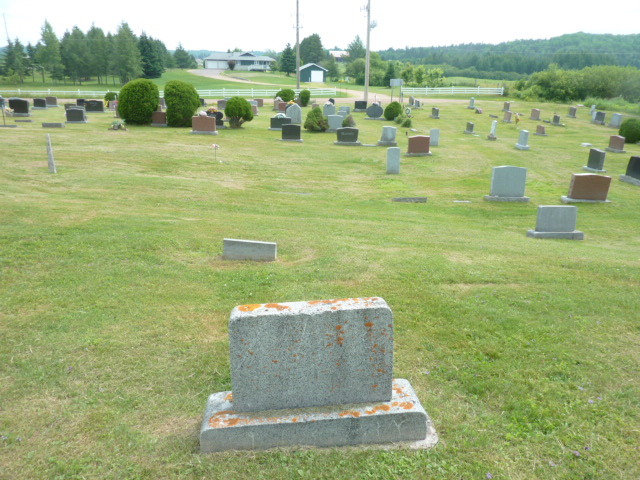 I decided to stop off in Powassan as I headed south on HW 11, at least long enough to visit and say my prayers over the resting place of Agnes Haddow (my great great aunt) and her husband, Elkanah South. The young woman, Agnes, is pictured here with her family. My great grandmother, Mary Eleanor Haddow, later married John Moors. 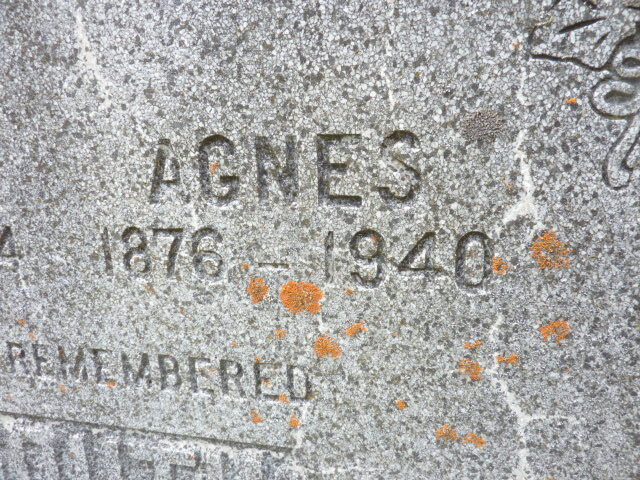 Agnes was her sister. My grandfather, John Moors, made trips up from Hamilton, along with other family members, to visit Agnes and her family in Powassan. I know that I have distant cousins who still live in the Powassan area because they have made inquiries about my research. I would dearly love to meet them one day when they are ready. On this particular day, the sky was foreboding and I wondered if it might rain when I pulled up to a tiny gas station to ask directions to old Union Cemetery. It was a weekend and the town seemed sleepy. I knew that I wouldn’t find any help at a cemetery office on a Sunday, but got myself turned in the right direction without any hassles. What had brought Agnes and Elkanah to settle in the area? One of the most valued treasures of the people of any community is their history. From early days men preserved history so that posterity might have a record of their times. The study of history is like looking back along the highway of time and the men and events mentioned therein are as landmarks placed here and there upon that great highway. Unfortunately, however, some of those landmarks were not preserved and a more particular and definite history could have been recorded if the second and third generations had acquired more knowledge from the first generations. 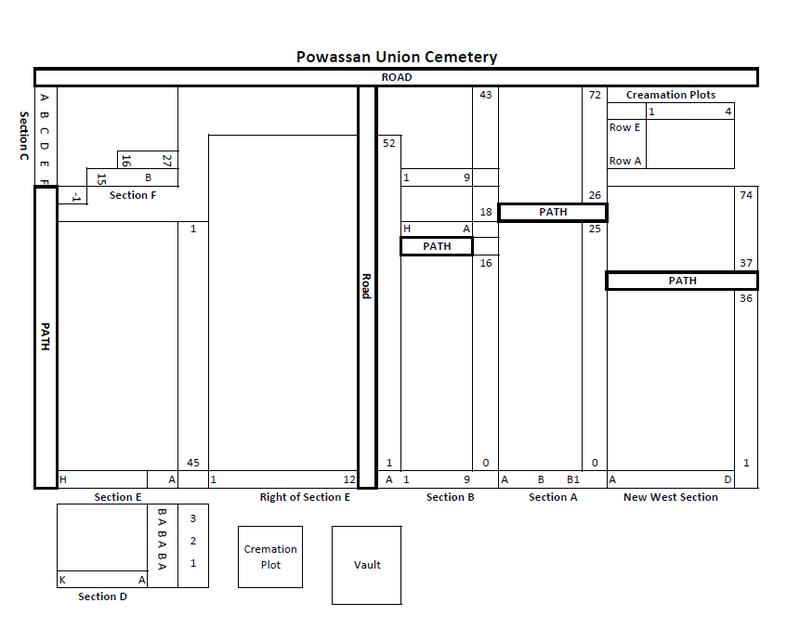 However, we, of this generation, have obtained by research certain interesting facts regarding the settlement and development of our Town of Powassan. Powassan is an Indian name which means a “bend”. The original settlement was at a bend of the South River. Therefore the name is an appropriate one. This location is known today as the Powassan Chute and is the location of the present hydro plant. Here the Village of Powassan began about the year 1880. A sawmill was built and a grist mill followed. Mill employees erected their dwellings in that section. In 1886 the railroad was in operation between Gravenhurst and Nipissing Junction. A second settlement was born in the neighborhood of the railroad station. The railroad was first known as the Northern and Pacific Junction Railway. It was later purchased by the Grand Trunk system and afterwards by the Canadian National Railway, which serves Powassan today. The nucleus of the town site comprised lots 15 and 16 in the 12th concession of the Township of Himsworth. Lot 15 was originally taken up as a grant from the crown by Christopher Armstrong. Lot 16 was a grant to William Faulkner Clark. The 15th side road of the Township of Himsworth was the road allowance reserve between the two lots. This road allowance is the King Street of today, which is Powassan’s main thoroughfare. Christopher Armstrong laid out the town lots in sections of a fifth of an acre each. His plan registered as No. 44. William Faulkner Clark planned the lots in his subdivision into lots of one quarter of an acre each. His plans are registered as numbers 43 and 57. The story of William Faulkner Clark depicts the wonderful community and neighborly spirit of Powassan’s early days. His home was known to everyone for miles and was a happy stopping off place for early settlers who came to Powassan to transact business. Unable to return home the same day, they stayed at Mr. Clark’s home which still stands today adjacent to the fair grounds. Before erecting this building, Mr. Clark occupied a log house opposite the fair grounds at the corner of Clark Street and the road to the chute. Mr. Clark donated the sites for the school and three churches. The site of the first Presbyterian church was at the corner of the fair grounds where the road curves opposite the Holtforster farm. Later this church was moved to the corner of Clark and Edward streets and is now the Masonic Temple. The Anglican Church was on the site of the present dwelling of Mr. M. Putnam. This church was destroyed by fire in 1936. The Catholic Church was built on the property where the present church stands. The first school in Powassan was S.S. No. 1, known as Maple Hill School. In 1891 the Powassan school, or S.S. No. 8, was built. This was a one-room building. 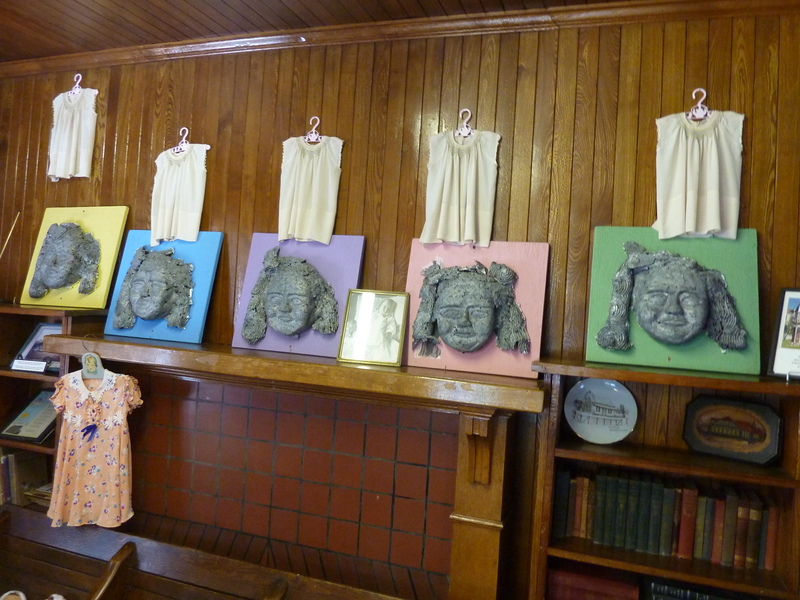 In 1893 it was converted into a two-room school and in 1901, two more rooms were added. Later there were six rooms, four for public and two for continuation students. In 1929 the new continuation school was built and the original two-room frame part of the public school was abandoned. In 1953 the new addition to the public school was completed, thus providing students with modern-day facilities. While initially I would assume that Elkanah, and other family members, worked in the lumber and milling industries, I learned that he was a Moulder. What I’ve learned about my family is that none of them were slouches…on either side…and so, I’m certain that this was hard work. 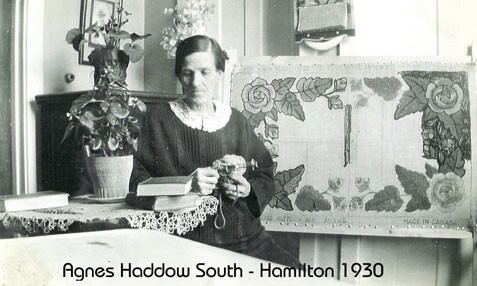 Agnes Haddow was born on 9th August 1877 at Barrow-in-Furness, Lancashire, England, the first daughter of John Haddow and Mary High. At seventeen, she married 34 year old Elkanah South (a Moulder) on 21st of August, 1894. (A Moulder made molds, used for casting iron, brass etc, also in potteries and probably other industries.) Elkanah, also known as Alfred, was born on 28th of February 1860 in Maldon, Essex and migrated to Canada in 1874. He was a Baptist and she a Presbyterian. 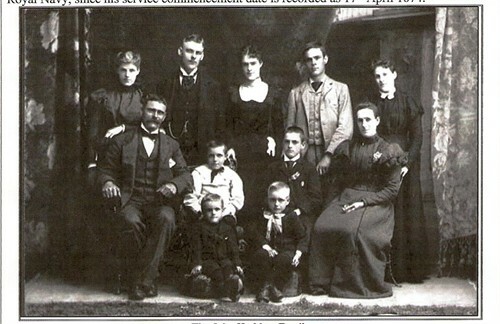 They lived in Powassan, Parry Sound, Ontario and had seven children. I located several of these and said prayers for them in the Union Cemetery as well, but that’s another story. 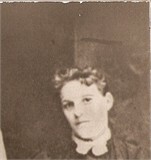 A niece of Agnes, Edith Emily Haddow McKeown, remembers that Agnes was said to have had Dropsy and that periodically, she had to have fluid removed. In years gone by, a person might have been said to have dropsy. Today one would be more descriptive and specify the cause. Thus, the person might have edema due to congestive heart failure. The Middle English dropesie came through the Old French hydropsie from the Greek hydrops which in turn came from the Greek hydor meaning water. Other memories of Edith include that Agnes and two of her daughters (probably the oldest two) visited Mary Eleanor in Hamilton. She remembered that the girls wore long black stockings, perhaps having something to do with their religion. These post card images of Powassan were captured many years ago. 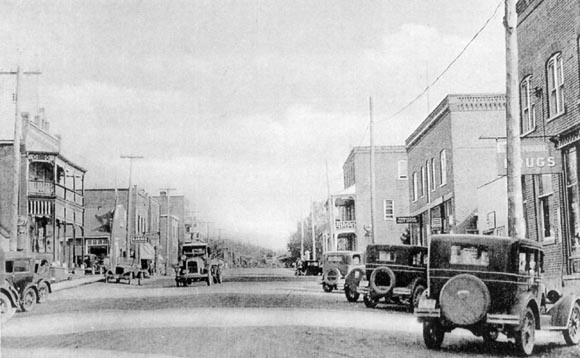 Above, King Street (now Main Street) looking southward in the early 1930s. Below, looking northward, some time befor 1914 and the days of the automobile. The gas station that I visited was on the left about a third of the way up on this photograph. On May 22, 2018 I received a message from Phyllis through Family Search giving me permission to use the following photograph. 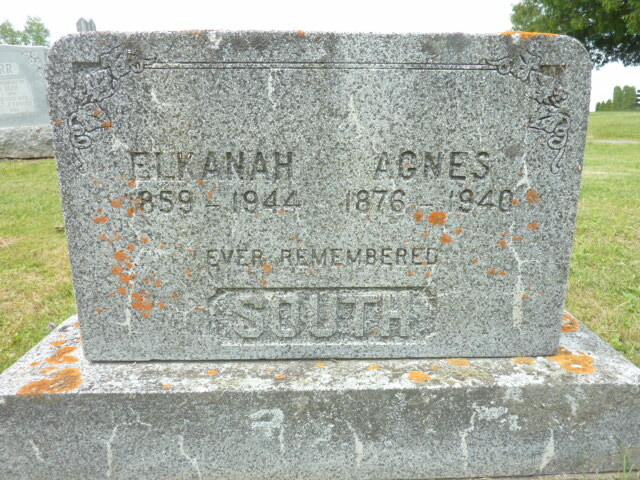 Phyllis’s Grandparents were Agnes and Elkanah South and her father was Louis John South. I feel blessed with this connection. Back Row Right to Left Agnes Haddow South, holding baby, Margaret Esther South, Louis John South, Eleanor Mary South and male unknown. Front Row Right to Left Elkanah South, William Egbert South, young lad in front = Joseph South. Always nice to see a little history of my hometown of Powassan Ontario! Jamie, if you know anything at all about the Haddows from the area, I would love it if you shared! 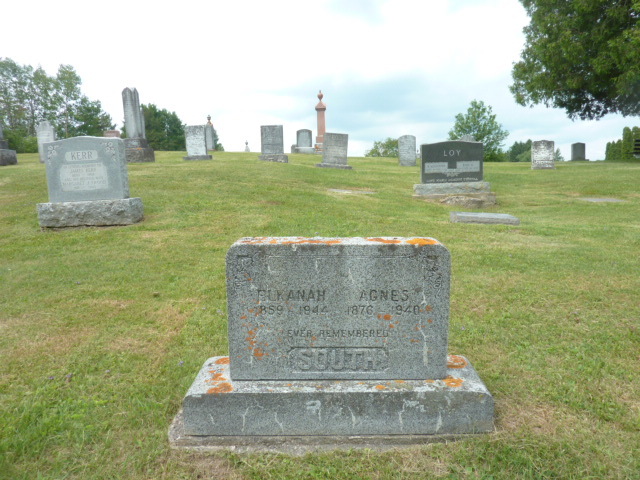 I hope to visit again the next time I’m visiting my Dad in Belleville…spend a bit more time in the town site and a little less in the cemetery. Enjoyed reading about your memories……. Thank you, so much, Gwen. 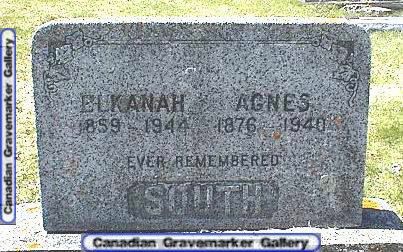 Do you have a connection to Agnes or Powassan? Sending you wishes on a chilly day!